We all know how difficult it is to remove a stubborn stain from interior fabrics. Interiors are tricky for the fact most components must be cleaned where they are, and are unable to be easily removed for cleaning. 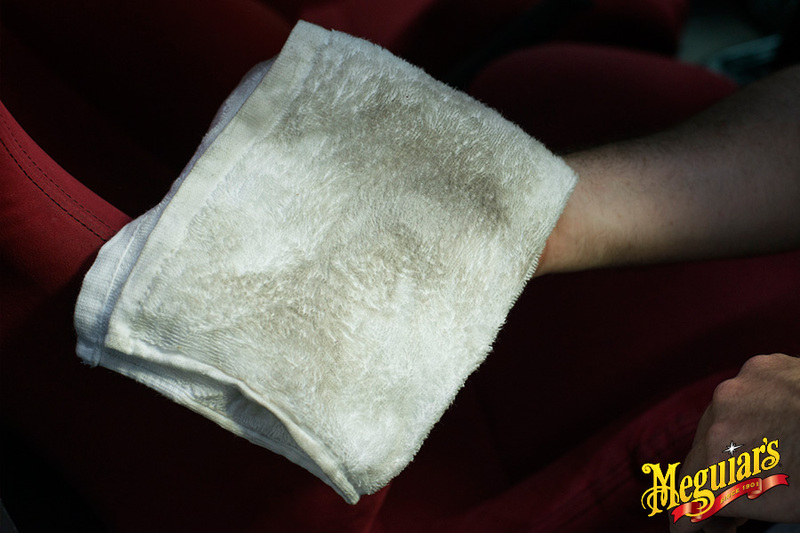 For these stains, Meguiar’s have developed an effective Carpet and Upholstery Cleaner which is rated the best in it’s class. Step 1. 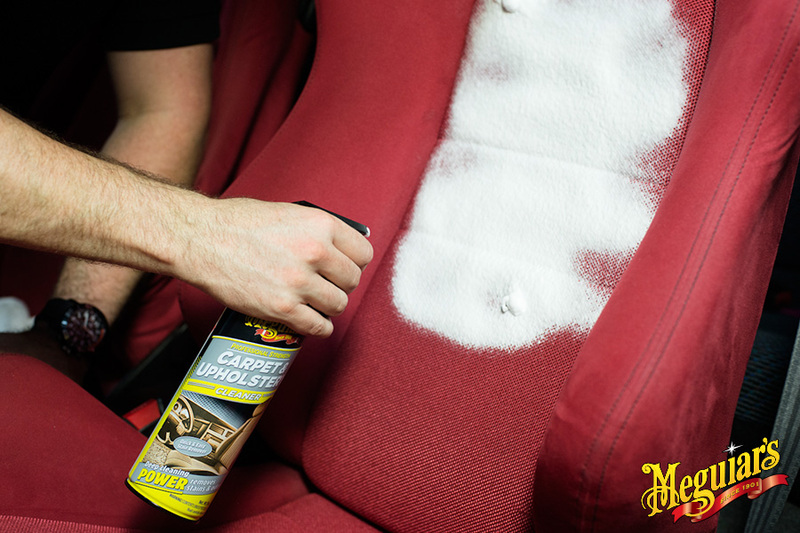 Vacuum your interior, getting rid of surface debris before applying Meguiar’s Carpet and Upholstery Cleaner. Simply use the narrow stream on the dual-mode trigger to apply the foaming cleaning agent in a single spot or use a wider mist for general cleaning. Step 2. Let the foam do its thing! As the foam penetrates the fabric, it will lift the stain, making it simple to remove. Step 3. 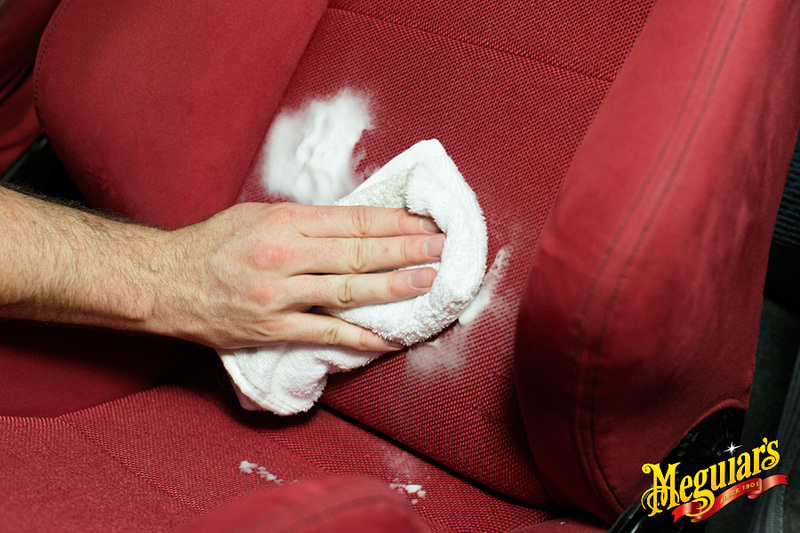 Use a microfibre cloth to lightly scrub and remove the foam, leaving your interior clean and pleasant smelling. It’s as simple as these three steps! 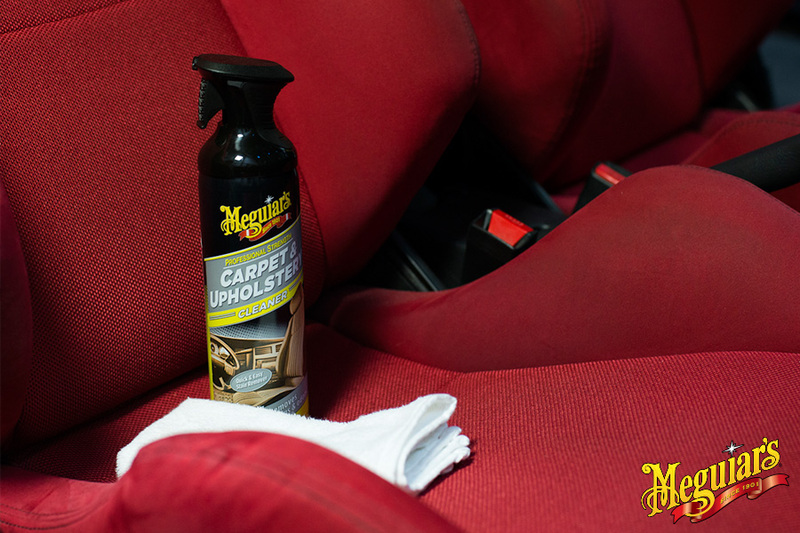 Anything from a drink spill to typical dust and dirt from regular use can be removed with Meguiar’s Carpet and Upholstery Cleaner.